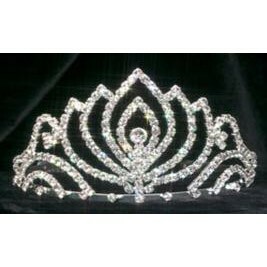 Queen Tiara. Has sparkling diamond-like jewels and silver finish. THIS IS A DISCONTINUED ITEM AND HAS A LIMITED QUANTITY AVAILABLE.